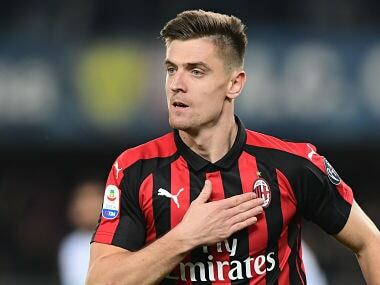 Polish striker Krzysztof Piatek struck again to rescue a 2-1 win for AC Milan at bottom club Chievo on Saturday, keeping their Champions League push firmly on track. Piatek joined Milan from Genoa in January and has now scored eight goals in nine matches, as the club notched up a fifth straight league win to remain unbeaten since before Christmas. Returning from injury, Lucas Biglia opened with a curling free kick after 31 minutes in Verona. It was just his second goal for Milan and first since February last year. 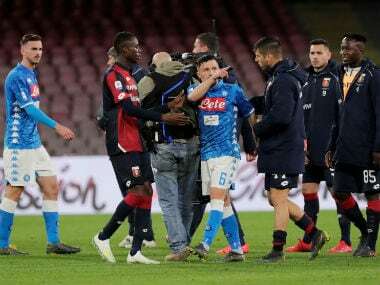 Coach Gennaro Gattuso was sent to the stands for dissent for protesting a foul on Brazilian Lucas Paqueta. Minutes later Finnish midfielder Perparim Hetemaj got his head to the end of Leris cross to pull the hosts level four minutes before the break. But Piatek scored the winner after 57 minutes. Chievo goalkeeper Stefano Sorrentino parried a shot from the Polish striker who then dived to send the ball into the net with a quick VAR review confirming the goal. The 23-year-old joins Juventus star Cristiano Ronaldo and Sampdoria's Fabio Quagliarella on top of the Serie A scorers' chart with 19 goals this season. 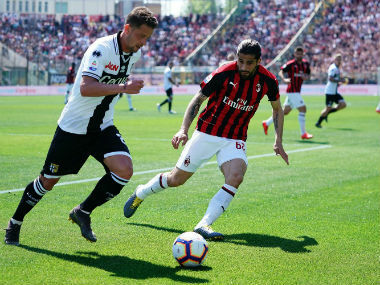 Milan consolidate third position to move five points behind second-placed Napoli who travel to Sassuolo on Sunday. 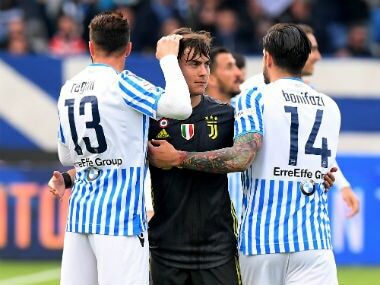 Champions Juventus pulled 19 points clear at the top on Friday with Moise Kean scoring a brace in a 4-1 win over lowly Udinese. 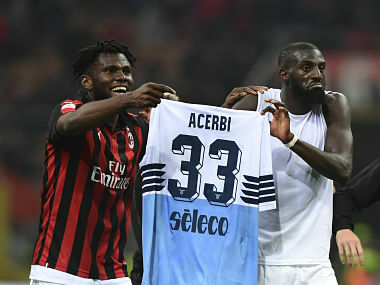 Inter Milan, are fourth, four points behind Milan, before hosting SPAL on Sunday. The Milan teams will go head-to-head next weekend. Czech midfielder Juraj Kucka scored the only goal as Parma ended mid-table rival's Genoa's six-game unbeaten run. Kucka broke through after 78 minutes against his former club on a rebound after Brazilian goalkeeper parried his header. Parma overtake Genoa to move two places up to 11th position.